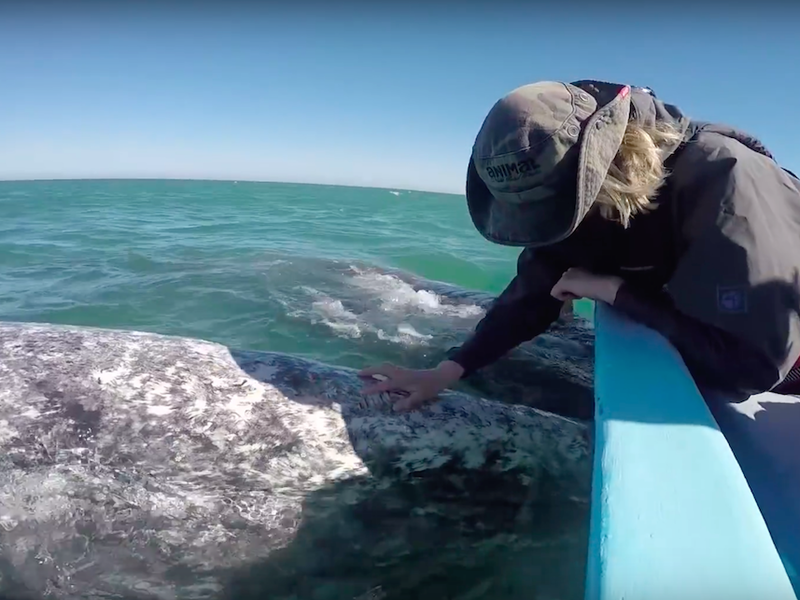 A video of huge gray whales that got incredibly close to a tourist boat in a Mexican lagoon is shaking up the internet after it was shared on YouTube by the British wildlife photographer Steve Trewhella. Trewhella, 52, from Dorset, captured the footage of the mammals on a family holiday to Mexico in March. The female whales were spotted by tourists enjoying a wildlife watching tour in the San Ignacio lagoon in Baja California. None of the tourists appeared to be worried about the colossal creatures swimming right up toward their small boat. Instead, they petted the sea animals, which lapped up the attention as they lay on their sides. "If you are on a 10ft boat and had a 50ft mammal coming towards you, you would probably get away from it," Trewhella told The Daily Mail. "It was a bit of a funny experience knowing it could smash your boat to pieces if it so wished — but they are not aggressive at all." The photographer, who was on a trip organised by Naturetrek, wanted to see the gray whales before they become extinct. "The gray whales are in such decline you have to go to the other side of the world to see them," he told the newspaper. The San Ignacio lagoon — which is protected by the Mexican government — is known to be a prime nursery area for female gray whales who feed their calves until they are able to swim back into the sea. According to Trewhella's account in The Daily Mail, the lagoon is "an extraordinary place and is believed to be the only location in the world these gray whales interact with human beings on this level."